I am very satisfied with the service he provides ." "Raj is great to work with. Very helpful and knowledgeable! A genuinely caring insurance agent with your best interest in mind." "Raj & his team do an amazing job taking care of their clients. They take the time to inform and teach you the best way to save money on your insurance with the best coverage." "So I stopped off at this spot to get a quote and was pleasantly satisfied. I liked the fact that I didn't have to do the stopping around. Emma, hooked it up and got me out the door in around 30 minutes. I'm satisfied and glad I stopped. I'd give 5 stars if they did the dmv stuff too." "Great insurance specialist, Raj made me feel like family and was welcoming to me and my girlfriend. He works efficiently to make sure you 100% understand the insurance your receiving for your vehicle, the insurance he recommends will fit the coverage you need or/and the price you need. I'm glad God had us cross paths Raj, because I couldn't find better pricing for insurance anywhere else"
"One of the best customer service I've gotten from an insurance company. 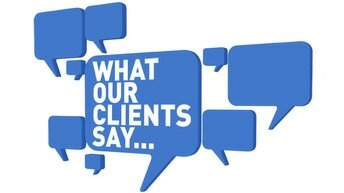 Was very helpful and grateful to come across raj"
"Raj gave me good deal ten years ago and I didn't realize until I went to different brokers. I came back running to him and have been with him since, he is good." "The best insurance broker. I've been with them since 2006. Raj always finds us the best deal every time our insurance goes up due to ticket/ new car. I highly recommend this company." "Great place to go get your car insurance. Friendly staff always willing to work with you. Nice environment, definitely recommend it 100%." "Great customer service! Took the time to review our policy so we were comfortable with what we signed up for." "I've been working with Raj and Insurance Bonanza for several years. When its time to renew my insurance policy I don't shop anywhere else. Their rates are always great and the service is always prompt." "We couldn't be happier with your service, thank you for caring and always taking care of us with your amazing rates!" "Perfect place to get insurance.....is veryyy helpful n friendly....explains all the options clearlyyy.....u cannot go wrong with it"
"I don't have a good driving record..But coming here to Bonanza and getting insured by them..was a really great help to get full coverage..i feel good being insured by them..
"The best place to get your automobile insurance. My family been with them since 2006." "Great service & reasonable prices. I have been with them for almost 15 years and never had any complaint." "Got hooked up, did the best to help me out. Great customer service!" "best insurance out there with the best affordable prices Thank You Raj and everyone at Insurance Bonanza"
"Been with them for 7 years for my home & auto (personal & commercial)... Always best deal & best service!" "I have been with this company for 12 years and they are extremely helpful and trustworthy." "Great service i would highly recommend it to family"
"Amazing service!! Raj will definitely go the extra mile to satisfy his clients. Explains the fine print which no one does anymore!" "They are the best insurance in the San Fernando Valley"
"if you need an SR-22, this is the place!!" "Excellent customer service , did the best to help me out!" "Best service in San Fernando Valley! Highly recommend." "Provides honest guidance and helpful tips to a safe and wonderful driving experience. Best in town!" "I have my auto insurance thru them for over 15 years... best rates & top companies!!!" "Good people they will help u for sure..thanks bonz"
"Great rates and amazing customer service. Call to get a quote.."
"Amazing prices!!! Call to get a quote... Definitely recommended..."
"Great customer service and . Definitely recommended."